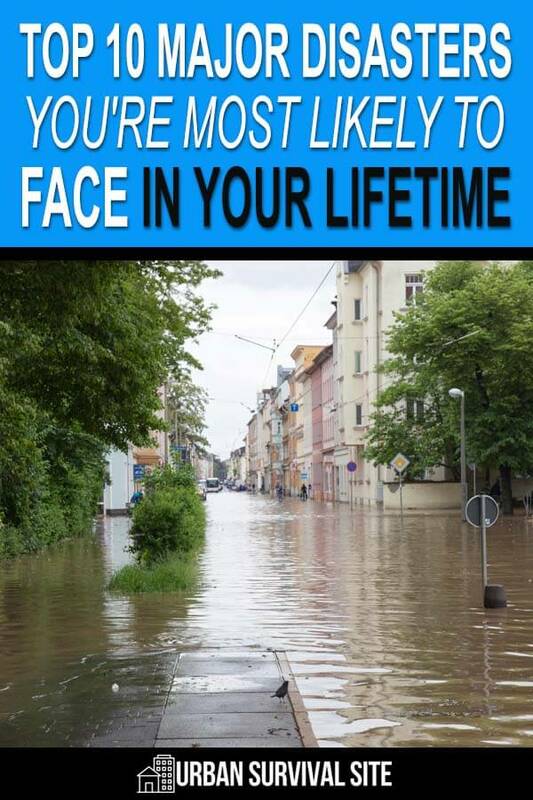 The odds are likely that you will face a major disaster at some point in your life. Maybe it will be a wildfire, or an earthquake, or an economic collapse, or–God forbid–World War III. Which one do you think it will be? Have you ever asked yourself this question? You see, when preparing for disaster, you can’t just ‘prepare for disaster.’ You need to have some specific disasters in mind–the ones you feel are most likely to happen. 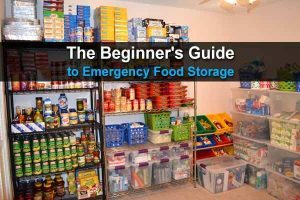 By doing this, you’ll be able to make more specific preparations, which will increase your chance of getting through the disaster safe and alive. So which major disasters are most likely? To answer that question, we made a list of the top ten major disasters going from least likely to most likely. Obviously, this list is very debatable, so feel free to leave a comment with your own top ten list. The Cold War ended when the USSR collapsed and the United States became the world’s only superpower. However, that is likely to change. China is becoming more powerful and influential all the time, while the United States has been slowly declining. At some point, the two countries will have equal power and influence, which will spark a new Cold War and the risk of World War III. Even if it isn’t China, there is always the chance of a conflict with Russia, North Korea, or any other country with nuclear weapons. Let’s pray that never happens. Although most people think surviving a nuclear war is hopeless, it is definitely possible as long as you aren’t too close to ground zero. Here are five things you need to survive a nuclear war. An EMP (electromagnetic pulse), whether an attack by another nation or a solar flare from the sun, is one of the most talked about disasters among preppers. It became an even more popular topic after the publication of Lights Out, a novel that vividly describes what life would be like after an EMP. An EMP is arguably one of the worst types of disasters that can happen. 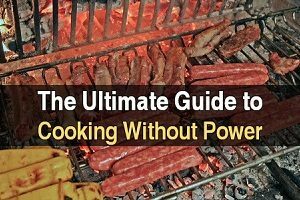 In the event that all electric items and the power grid stop working, there would be no more electricity, power, heat, cars (at least cars built since 1990), airplanes, laptops, TVs, phones, etc. Yes, life would really (at least partially) revert back to the 1880s. The supply chain would stop, you would most likely not be able to get in touch with someone who lives far away, and the economy would undoubtedly collapse as well. Food riots would begin in a matter of days, and the government would most likely take control through martial law. What’s worse is that an EMP attack is a long-lasting disaster, as it would take years to successfully rebuild society. It’s been estimated that only 10% of people would survive a nationwide EMP. Here’s how to be one of the 10%. 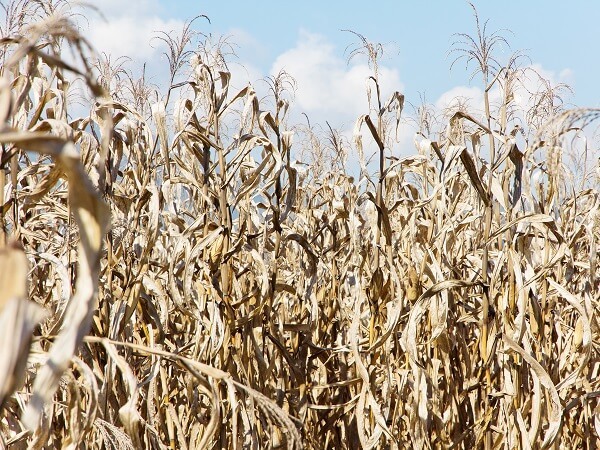 An agricultural collapse is perhaps the most overlooked type of disaster that we might face. It could be caused by severe droughts (which are becoming more and more common), by a rapid decline in the bee population (which is already happening), or some other natural disaster. What many people fail to realize is that if the agricultural production system fails or slows down, the only real way that we can build it back up is through rebuilding the seed supply. Would companies be able to produce enough seeds to rebuild it? Eventually, probably yes–but initially, probably not. The effect of an agricultural collapse is that food prices would increase dramatically as the supply drops and the demand increases. This would also cause the economy to take a hit. As a whole, an agricultural collapse will probably be worse than you realize. Another pandemic is not a question of if, but when. The last major pandemic occurred about 100 years ago and killed millions of people. Some people believe we are overdue for another. What exactly is a pandemic? Many people confuse the terms pandemic and epidemic. The difference between the two is based on the scale of it: epidemics are usually restricted to a specific geographical location, and therefore impact a small number of people. Pandemics, on the other hand, spread fast throughout large parts of the world and impact millions of people. The Bubonic Plague in the Middle Ages, for instance, was a pandemic and not an epidemic. The only surefire way of surviving a pandemic, if it even is a surefire way, is to physically get out of an area that has been effected. You’ll also need to practice extremely thorough personal hygiene and sanitation habits. Here are some supplies you will need to survive the next pandemic. The fundamental factors that led to the Great Recession–cheap money and phony wealth–were never really fixed. Once again, lots of huge economic bubbles are forming with subprime auto loans, massive student loans, and housing (again). Considering that the average worker never completely recovered from the Great Recession and are therefore less able to weather another, the next economic collapse could be even worse, on the scale of the Great Depression in the 1930s. 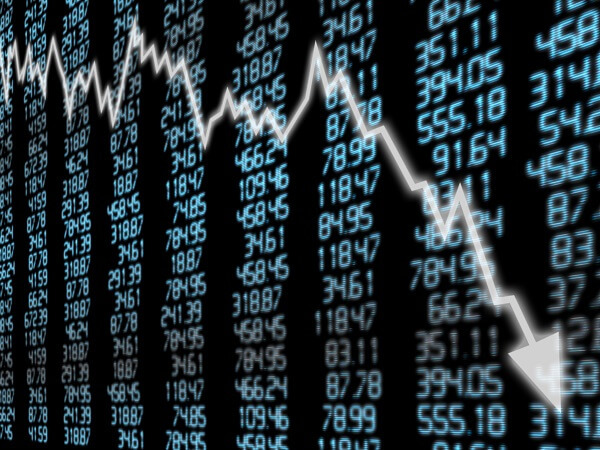 An economic collapse could happen one of two ways. We could have a hyperinflationary collapse due to the Federal Reserve pumping too much money into the economy. In this case, prices would skyrocket and money would become almost worthless. If that happens, people will need precious metals or barter items to make purchases. On the other hand, there could be a deflationary collapse (like the Great Depression). In this case, jobs would be very hard to come by and loans would be almost impossible to get. There would no doubt be shortages of everything from food to medical supplies. Many people would end up living on the streets. Here are some things you should do before the economy collapses. Earthquakes are one of the most frightening disasters. They happen with no warning and can kill hundreds–if not thousands– of people immediately. But as with hurricanes, whether they’re a threat or not depends on where you live. Here are some tips for surviving an earthquake. The potential for civil unrest is a real problem in America today. Political tensions haven’t been this high since the 1960’s, and with the upcoming elections, it seems like they’re only going to get worse. 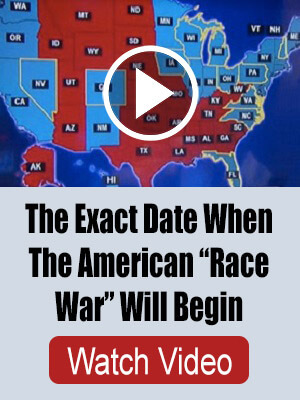 In the past few years, there have already been major events of civil unrest such as in Ferguson, Missouri, and heated political rallies and protests are becoming commonplace. Even a seemingly ordinary protest can turn into something very deadly. Here are some tips on how to survive a riot. And here’s what to do if you’re in your car during a riot. Due to a warmer and drier climate, wildfires are becoming more and more common. I’m not here to debate whether humanity is causing it or not. I’m just pointing out that the climate is changing, as it always has, and wildfires are something we all need to be prepared for. If you live in or near a wooded area, you need to be vigilant. Just look at the blazes that have overtaken California. The current fire is the largest in history. Wildfires, regardless of how they start, are literally uncontrollable and can sweep through vast areas in a very short period of time. Entire homes can be destroyed, and the huge quantities of smoke can cause breathing problems and even suffocation. As with hurricanes, your best bet for surviving a wildfire is to keep yourself up to date on the news and to leave before it strikes your area. 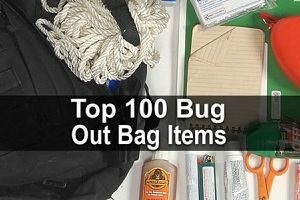 You need to have a good bug out bag, and you need to be ready to evacuate quickly. In general, I think natural disasters are more likely than man-made disasters. There are organizations and good people in government who are working hard to prevent manmade disasters. But natural disasters are going to happen regardless of what we do. Mankind has literally no control over them, and hurricanes are no exception. Obviously, it depends on where you live, but anyone who lives at or near the coastline of any country is at risk of hurricanes and cyclones. And again, these types of weather events are becoming more and more common. In 2017, there were three hurricanes at once, and there’s no reason to think that won’t happen again. The best way to prepare for a hurricane is to take action ahead of time. The one advantage to a hurricane is that when one is forming in the sea and making its way to land, you’ll be warned of its incoming and you’ll have plenty of time to evacuate. But don’t wait until the last minute or you will be stuck in traffic and could end up running out of gas. Here is our ultimate guide to hurricane preparedness. You might picture people being swept away and drowning, but that’s not the only way people die during floods. They also die because they get sick from the unsanitary water, they get heatstroke because utilities are down, their houses collapse and they get crushed, they have a medical emergency and can’t reach a hospital, and so forth. Without utilities, emergency services, and the ability to travel, many people will be in grave danger. As you can see, floods are more dangerous than you might think. If you’ve never been in one, don’t be careless. Get out before the water is too high for your vehicle. In this guide to flood preparedness, we explain what to do to prepare for a flood and what to do after you’re already in one. Your best course of action is to choose the one or two that you feel are the most likely to happen in your area, then prepare accordingly. All in all, I believe these are the ten most likely disaster and catastrophes. However, this is just my opinion. I’m curious if there are any major disasters I forgot or if I should have put them in a different order, so feel free to leave a comment and share your opinion. Good analysis… especially the agricultural collapse. People don’t realize how vulnerable our agricultural system is to disease due to the massive use of single strains of crops and animals. For example, almost all milk comes from Jersey cows. If a disease arises that that strain is susceptible to, the losses could be massive without any prior notice. I want to point out how much your location can influence this list. I live in Montreal, a flood is nearly impossible because the water has a safe place to go, the St-Lawrence river which is how all the water from the great lakes gets to the atlantic ocean. Montreal is an island in the St-Lawrence, the worst possible rain event we can get would be a tropical depression (too far from the coast to even get a tropical storm) or major rain storms. The worst recorded rain event ever here was a flash flood in july 1987 which flooded a few thousand basements in the most at risk areas and the decarie expressway. Very good coverage of the major disasters possible in our world. I personally consider an EMP the most devastating because it can be done with relative ease by a small country without the need for extensive and expensive military hardware or manpower. Please read an interesting article on this subject, “Survival, Thirteenth Century Style” from Survival Blog, March 30 and 31, 2018. 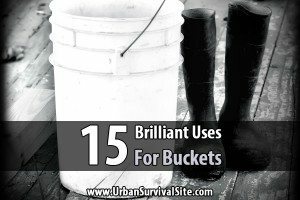 It presents an interesting perspective on what we would need to survive any massive disaster. Also, everyone remember that an EMP, “a calamity on a scale that the world will not be able to handle”, would merely return us to the ordinary life of our ancestors 800 years ago. If they could do it, why can’t we? The article mentioned above explains why.